A black bear pauses for a moment before crossing the road at the 2600 block of North College Drive in 2010. Three bears were euthanized in Durango Hills over the weekend after causing damage to homes, garages and cars for the last few weeks. Colorado Parks and Wildlife euthanized three bears Saturday after one of them destroyed a car in the Durango Hills subdivision. Joe Lewandowski, Parks and Wildlife spokesman, said a sow and two yearlings had been causing extensive damage to homes and cars over the last few weeks. Residents said bears were breaking windows on houses, tearing doors off garages and breaking into cars. An agency wildlife manager set a trap about a week ago. “The district wildlife manager said it was the worse bit of destruction by bears he’s ever seen,” Lewandowski said Monday. After one of the bears broke into a car Saturday, the agency had “no choice” but to shoot the three bears because they would have continued to create problems. No human injuries had been reported, he added. Lewandowski said the numerous bird feeders, garbage and other attractants in the subdivision contributed to the problem. “Bears have a tremendous sense of smell,” he said. The car, a 2005 Honda Element, that was destroyed Saturday belonged to Durango Hills resident Erica Feablom. Lewandowski said Colorado Parks and Wildlife has euthanized five bears in La Plata, Archuleta and Montezuma counties so far this year. The last time they shot and killed a bear in Durango was last summer, when a bear bit two men who were camping near the Durango Tech Center. 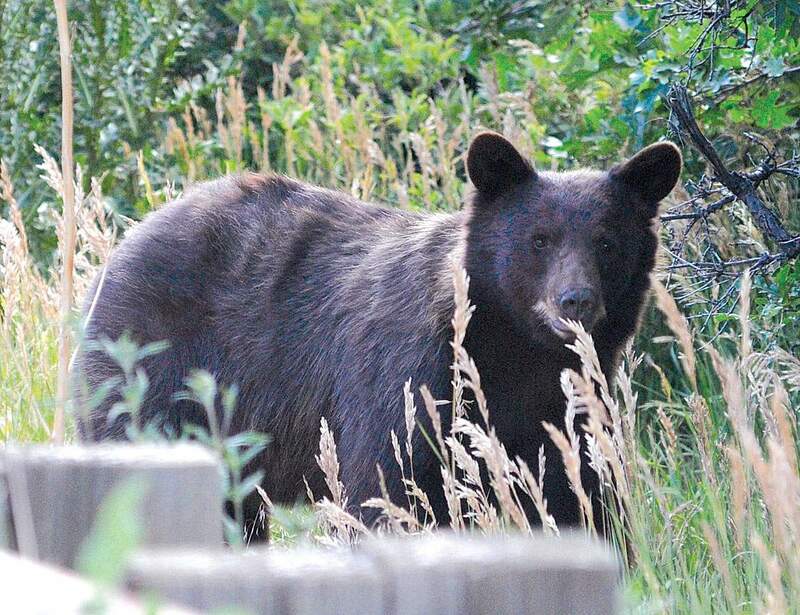 Bears are out and about, and Colorado Parks and Wildlife encourages residents to take some simple precautions to help avoid human-wildlife conflicts. Here are helpful tips that will help prevent conflicts and keep bears wild. You can also get more information at Bear Smart Durango’s website. Keep garbage in a well-secured location.Only put out garbage on the morning of pickup.Clean garbage cans regularly to keep them odor free.Use a bear-resistant trash can or dumpster; available from your trash hauler or on the internet.If you don’t have secure storage, put items that might become smelly into the freezer until trash day.Don’t leave pet food or stock feed outside.Bird feeders are a major source of bear-human conflicts. Attract birds naturally with flowers and water baths. Do not hang bird feeders from April 15 to Nov. 15.If you must have bird feeders: clean up beneath them every day, bring them in at night, and hang them high so that they’re completely inaccessible to bears.Do not feed other wildlife, such as deer, turkeys or small mammals.Secure compost piles. Bears are attracted to the scent of rotting food – and they’ll eat anything.Bears have good memories and will return to places they’ve found food.Allow grills to burn for a couple of minutes after cooking to burn off grease and to eliminate odors. Clean the grill after each use.Clean thoroughly after picnics in the yard or on the deck. Don’t allow food odors to linger.If you have fruit trees, pick fruit before it gets too ripe. Don’t allow fruit to rot on the ground.Keep garage doors closed. Lock your doors when you’re away from home and at night.Keep the bottom floor windows of your house closed when you’re not at home.Do not keep food in your vehicle; roll up windows and lock the doors of your vehicles.When car-camping, secure all food and coolers in a locked vehicle after you’ve eaten.Keep a clean camp, whether you’re in a campground or in the backcountry.When camping in the backcountry, hang food 100 feet or more from campsite; don’t bring any food into your tent.Cook food well away from your tent; wash dishes thoroughly.Talk to your neighbors and kids about being bear aware.If you keep small livestock, keep animals in a fully covered enclosure, don’t store food outside, keep enclosures clean to minimize odors, hang rags soaked in ammonia around the enclosure.If you have bee hives, install electric fencing where allowed.For more information, go to the Living with Wildlife section on the Colorado Parks and Wildlife website: www.cpw.state.co.us.